This MasterCool down-discharge evaporative cooler is provide an economical, environmentally-friendly means of cooling up to 1,650 sq. ft. Engineered for maximum airflow and superior durability, the MasterCool line of coolers not only save energy dollars, but provides years of worry-free cooling comfort for you and your family. This unit can accommodate a 1/3, 1/2 or 3/4 HP motor (sold separately) based on your cooling needs. 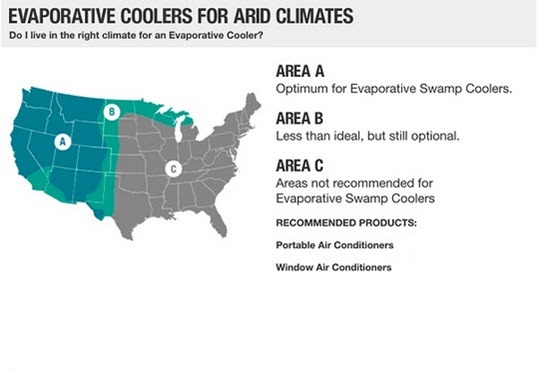 This evaporative cooler performs best in dry, arid climates. Maximum compatible motor horsepower (hp)? 1-yr limited warranty on cabinet against leakage due to rust out/limited lifetime warranty on water reservoir/5-yr limited warranty on media/1-yr limited warranty on parts?